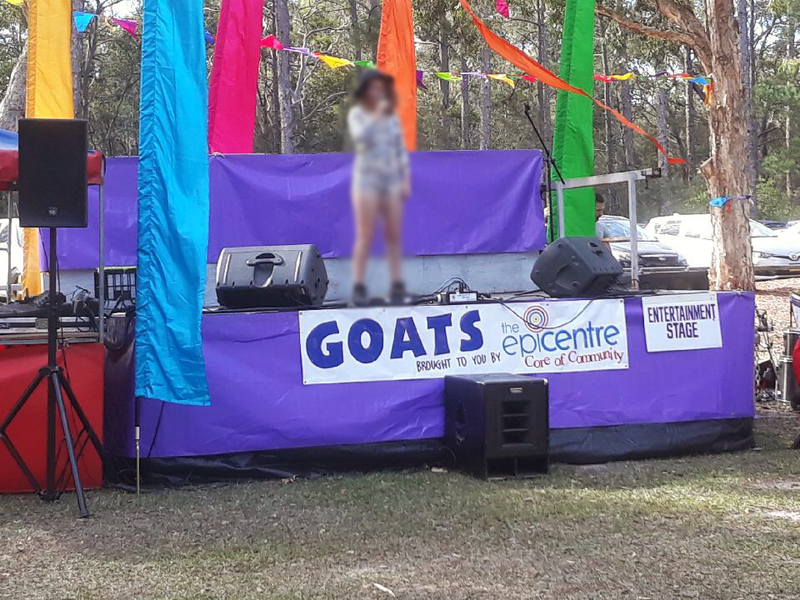 Our purpose built mobile stages are not only portable but versatile as well. 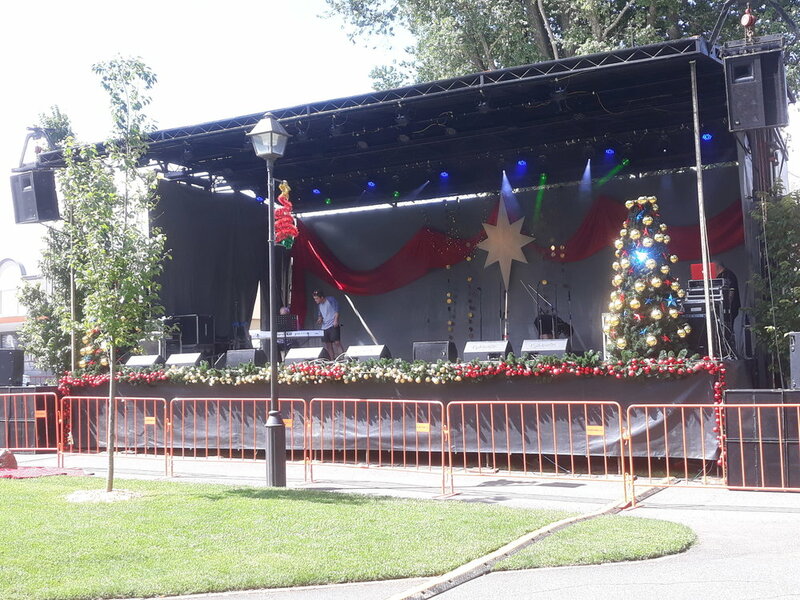 The hydraulic design thats makes them quick and easy to setup and pack down also means that both the stage height and stage roof are able to be raised and lowered to suit the desired look and use of any event, function or gig. 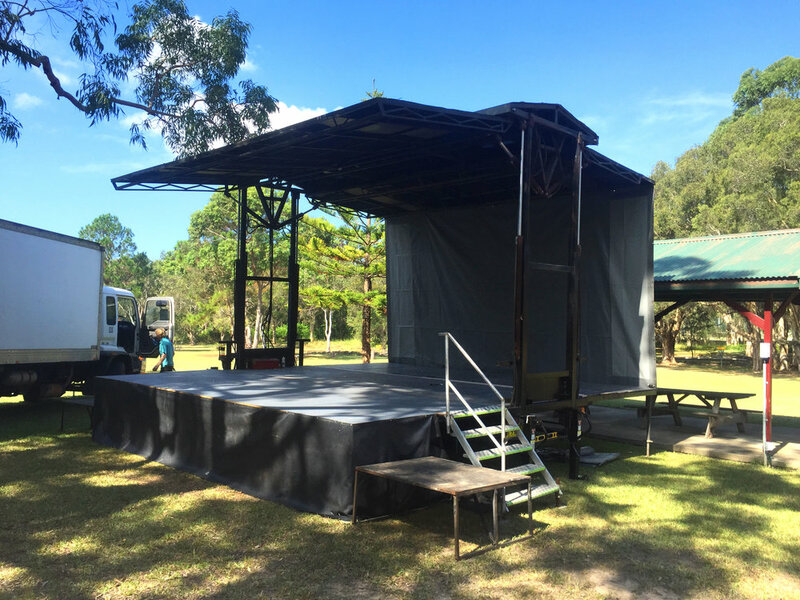 Our mobile stages are the result of many years of experience using and operating portable stages, development and engineering that mean that not only are a efficient and cost effective staging solution but they have the ability to have custom additions to suit your needs perfectly. Scroll on to find more specfics about each of our stages and possible add ons. Stages and Towers built out of scaffolding are a great versatile solution for an unusual stage design or placement. 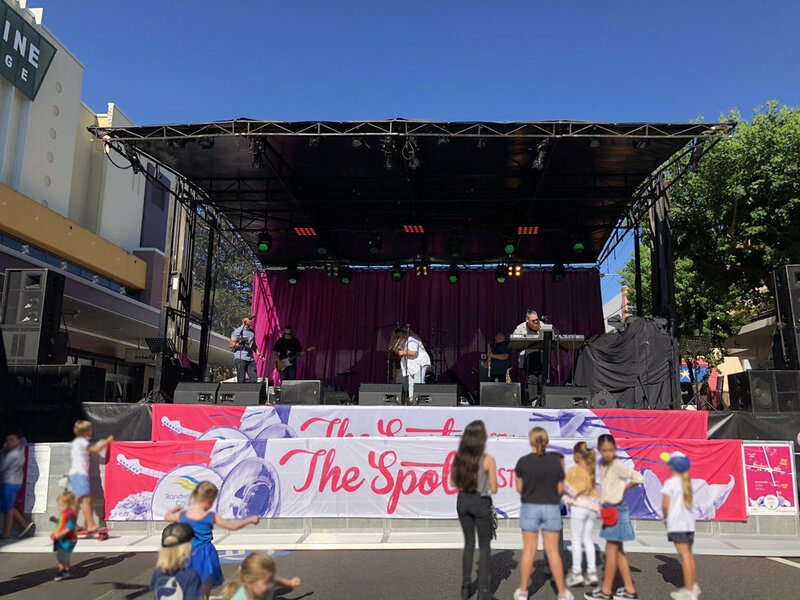 A great example of the flexibility of a Scaffolding Stage Solution was at the Australian Boardriders Battle National Finals held on Newcastle Beach, where one Scaffolding structure was constructed to support the raised LED Screen wall for spectator viewing from across the beach. Built in front of the screen was a stage deck to be used for the presentation ceremony for the event and to the beach side was 2 platforms hidden by event scrim that supported two separate parts of the PA system. All of our stages have the ability to add individual pieces of stage decking of 2.4m X 1.2m to expand their size for more performance space or to add a side stage area to be used by Back of House as a monitor control area or change over space. Alternatively these stage decking pieces are perfect to make a custom stage entirely of their own making them perfect for a Front of House control area or an ideal corporate stage solution. Our staging pieces can also be added to an existing stages in venues to expand its floor space, great for those larger dance recitals and Christmas Carol events that have larger theatre staging requirements. We also have a range of marques to create a stage roof for that new stage area if getting battered by the elements is a worry. We have also been known to use these stage decking pieces to join two of our stages together to make a MEGA stage, complete with accessibility ramp at the back. So if thats your thing give us a call, we'd love to do that again. Got a rowdy crowd and worried about them storming the stage? Maybe your worried because you booked an act so hot people won't be able to control themselves and want to be part of the action? Just wanna make a stage look a lot more pro? We can help. Our crowd control barrier can be placed in front any stage to give it that pro look and to keep the crowd where they were intend to be.